How You Could Have an Online Income! Here's my secret about how I've used my passion for thank you notes to build an online income that helps me and my family enjoy the lifestyle we want ... even in these tough economic times. 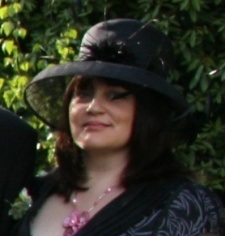 I built my first website in 2007 with a tool called SiteBuildIt! (SBI!) ... I now have 2 profitables SBI! websites that are earning money every day of the year ... even when I'm on holiday, picking my son up from school or asleep! If you are mainly interested in my secret and how I built this site, you can skip ahead to that part here. You will see how this kind of site works and how creating your own site could work for you. Writing thank you notes used to give me writer's block. I was probably re-living the annual trauma from childhood of being 'persuaded' by my Mum to write timely birthday and Christmas thank you cards! But relatives and friends loved the naivety of my handmade thank you cards and that taught me a valuable lesson for life ... just how powerful a few well-chosen words of thanks can be. I'm ever thankful to my mother for teaching me the etiquette of saying thank you properly ... especially as it sometimes feels that writing thank you letters is a dying art. Thank You Notes Are Meaningful ... And Needn't Be a Chore! People love to receive both business thank you notes and more personal thank yous. My family, friends and business contacts have all told me that the people who send out their thank you letters promptly are held in the highest regard. My initial goal was to create a popular, easy-to-use website, with step-by-step help and sample thank you notes for personal and business occasions, but I needed to make sure I chose the right tools to achieve this. I love the internet, but starting an online business seemed like a massive challenge for a 'newbie' like me. As part of my planning, I read widely and I admit I had a few 'close shaves' which almost put me off launching my own website ... there certainly are a lot of unscrupulous folk online! I found myself drawn back again and again to SiteBuildIt! They didn't offer silly deals to get me to sign up, I found lots of positive references to them and I loved that they shared a lot of information about their services for free. I liked their simple, step by step approach to building a web site and a profitable business. And I found it very reassuring to be able to read case studies about successful websites using their system. The true answer to my secret is that I never looked back from that day! I've used SBI's web hosting platform and services (all included in the one price) to build both of my sites. SBI! have been fantastic ... especially the amazing help from the forums (a global community of experienced SBIers ready, wiilling and available to help newbies out 24/7). While I do love the internet, I'm by no means a real 'techie' so I love the fact that SBI make everything so easy for their customers ... the whole site building process comes in an easy-to-follow '10 Day Action Guide'. I just followed the Action Guide at my own pace. 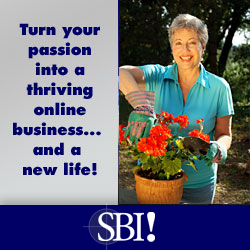 I believe that SBI is the best tool to build a successful and profitable website. Here's where you can find out how to build a successful web site if you have a passion or hobby you want to share. You can take a quick tour of Site Build It! here. Here's where you can see how Site Build It compares with other web hosts. Need some proof about how Site Build It works for real people? Here's where to find it! If you're more of a 'visual' person, you might prefer to take a look at a couple of short videos ... made by SBIers who have created successful, profitable web sites. Now You Know My Secret ... What Will You Do? 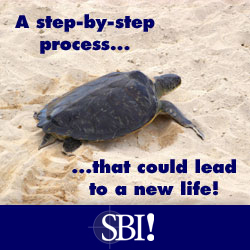 You've got this far ... why not take a take a free trial of SBI! today? It could change your life, just like it has changed mine!